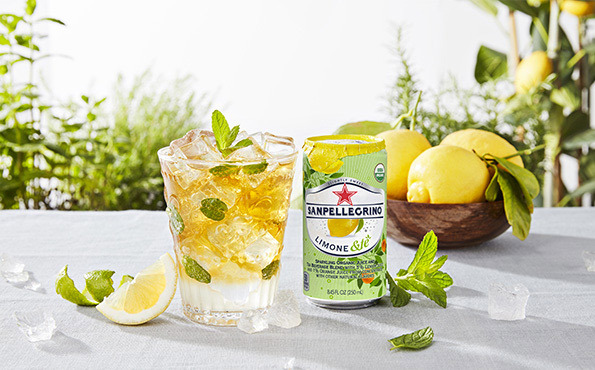 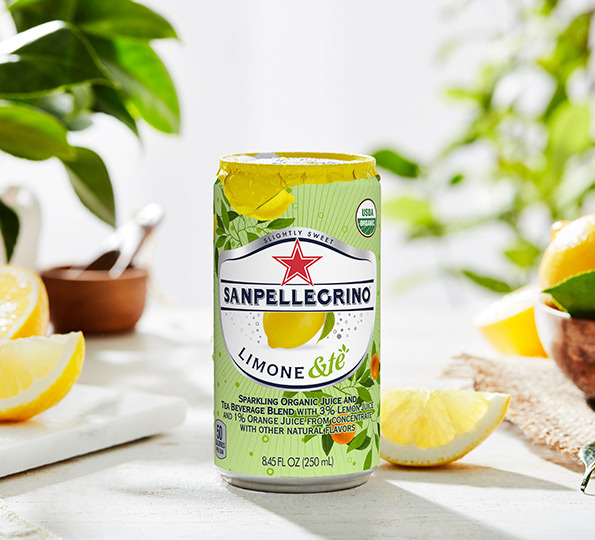 Escape the hustle and bustle of everyday with Sanpellegrino® Limone &tè, the sparkling organic juice and lemon tea beverage blend from Sanpellegrino®. 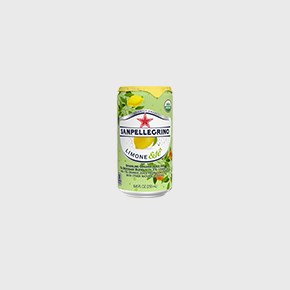 This blend creates the perfect harmony of flavours. 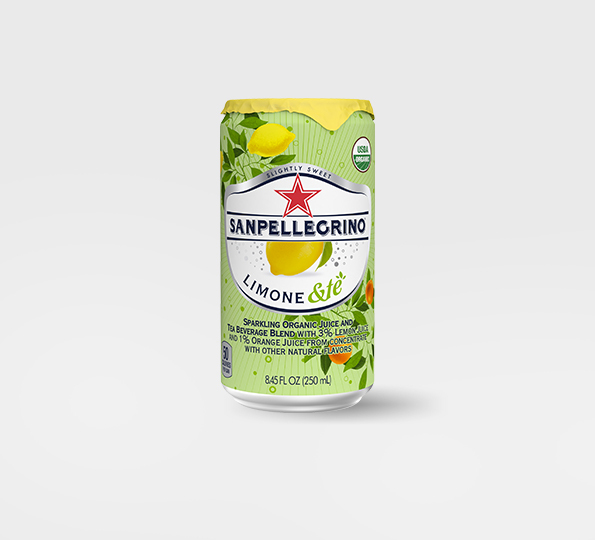 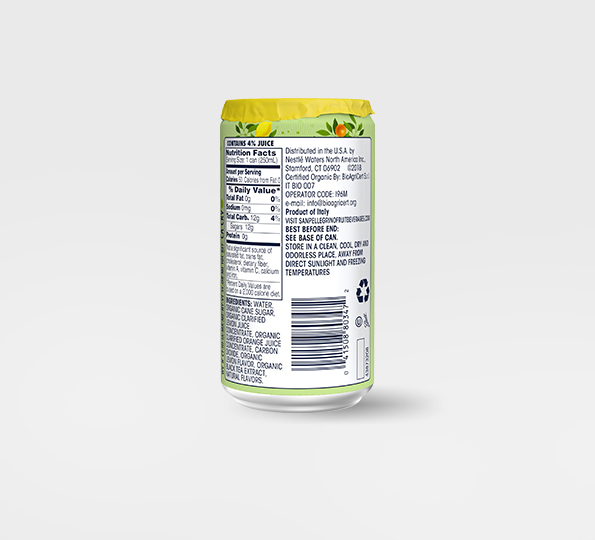 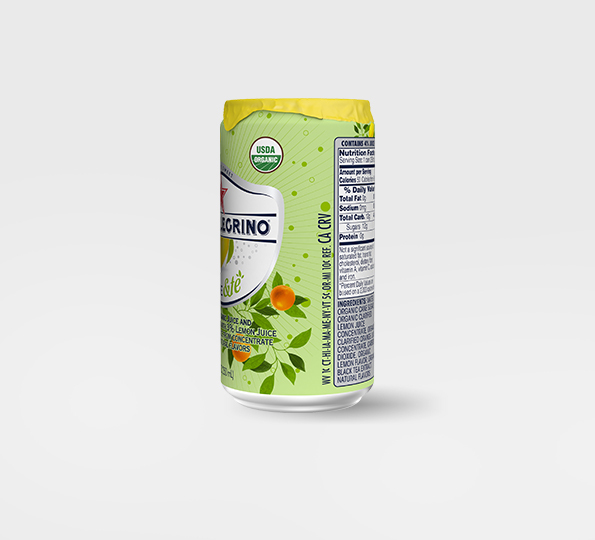 At 50 calories per can and no artificial colors or preservatives, enjoy the bright flavor and delicate sweetness of Limone &tè, by Sanpellegrino®. 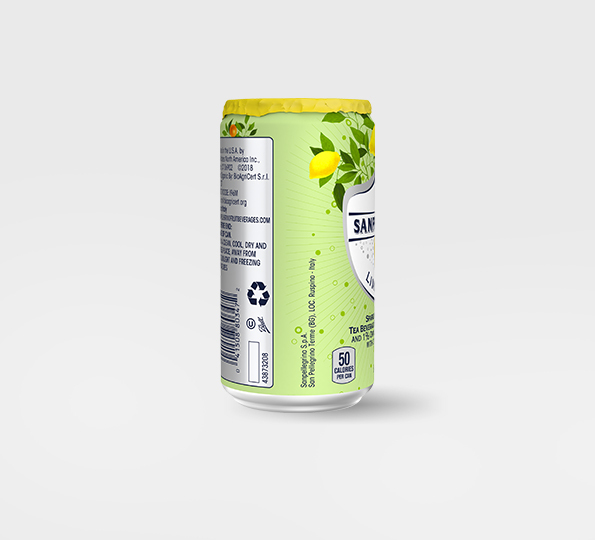 Water, Organic Cane Sugar, Organic Clarified Lemon Juice Concentrate, Organic Clarified Orange Juice Concentrate, Carbon Dioxide, Organic Lemon Flavor, Organic Black Tea Extract, Natural Flavors.